Northeast Pacific Shark Biology, Research and Conservation, Part A, Volume 77 highlights the biological attributes of, and the conservation efforts targeted at, populations of vulnerable sharks in the Northeastern Pacific Ocean bordering the west coast of the United States, one of the most economically and ecologically important oceanic regions in the world. 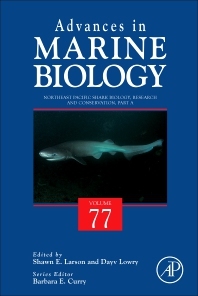 Updates in this new volume include chapters on Biodiversity, Conservation and Life History of Northeastern Pacific Chondrichthyans, a Review of current genetic analyses of Northeast Pacific sharks and conservation implications, and a section on the Trophodynamics and ecological impacts of eastern North Pacific sharks. 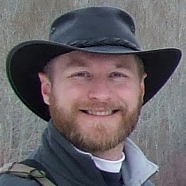 Dr. Dayv Lowry received his Ph.D. from the University of South Florida Department of Integrative Biology, leads the Puget Sound Marine Fish Science Unit at the Washington Department of Fish and Wildlife (WDFW), and has been studying shark ecomorphology and conservation for 17 years. Dr. Lowry has published numerous peer-reviewed scientific manuscripts and government reports on the biology and ecology of marine fishes. 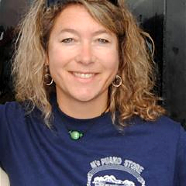 Dr. Lowry has organized and run international marine fish research symposia, developed and implemented fishery policies that promote sustainable conservation, and is currently a member of the International Union for Conservation of Nature (IUCN) Northeast Pacific Shark Specialist Group tasked with defining the conservation status of all shark species in the northeastern Pacific. He also serves as the WDFW representative on the North Pacific Fishery Management Council’s Scientific and Statistical Committee.